1213 Royal Artillery 'Special Observer' Sphinx battery badge. Royal Artillery. Sphinx battery 'Special Observer' qualification badge. 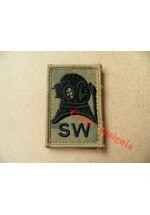 Awarded to personnel who ..
1214c Diver [open water] qualification badge. Colour. Royal Engineers. Diver [open water] qualification badge. Colour. 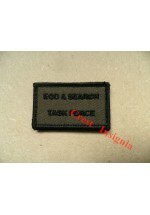 MTP version [code 1213mtp] also ..
1214mtp Diver [open water] qualification badge. MTP. Royal Engineers. Diver [open water] qualification badge. 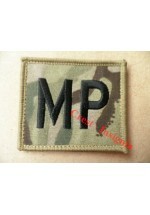 MTP Velcro backed. Colour version [code..
1215c Diver [shallow water] qualification badge. Colour. Royal Engineers. Diver [shallow water] qualification badge. Colour. 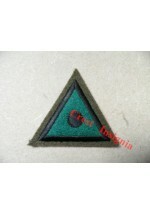 MTP version [code 1214mtp] al..
Royal Engineers. Diver [shallow warter] qualification badge. MTP. Velcro backed. Colour version ..
1216mtp Military Police arm badge. MTP. Royal Military Police arm badge. MTP. Velco backed. Colour version [code 1216c] also available. 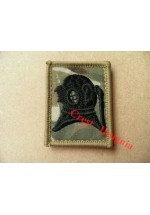 ..
1217c Tank Crew arm badge. Colour. Royal Armoured Corps. tank crew badge. Colour. Subdued version [code 1217s] also available. ..
1217s Tank Crew arm badge. Subdued. Royal Armoured Corps. tank crew arm badge. Subdued. Colour version [code 1217c] also available. ..
1219c Household Cavalry Rider, arm badge. Colour. Household Cavalry. Trooper or 'Mounted Dutyman' qualification badge. Colour. Subdued version [cod..
1220c Riding Instructor qualification badge. Colour. British Army. Riding instructor qualification badge. Colour. Subdued version [code 1220s] also av..
1221c Ammunition Technician Qualification badge. Royal Logistics Corps. Ammunition Technician [bomb disposal] badge. Colour. 'V' [volunteer] versi..
1223c Ammo. Tech [V] qualification badge. Colour. Royal Logistics Corps. Ammunition Technician [Volunteer] qualification badge. ..
1224 Royal Engineers Counter-IED operator badge. Royal Engineers. Counter-IED [improvised explosive device] trained operator badge. Velcro backed. ..
1225c Royal Artillery Gunnery Instructor qualification badge. Colour. Royal Artillery. Gunnery Instructor qualification badge. Colour, for FAD/No2 dress. ..
1226 'Aircraft Spotter' qualification badge. 1st class. Royal Artillery. Aircraft Spotter qualification badge. 1st Class. note; Although offici..
1227 'Aircraft Spotter' 2nd class, qualification badge. Royal Artillery. Aircraft Spotter 2nd class, qualification badge. Colour. 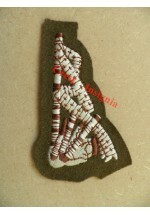 Not..
1231b Military Bugler qualification badge. Military Bugler qualification badge. Colour, for FAD/No2 dress. ..
1231p Scottish Military Piper qualification badge. Colour. British Army [Scottish] Piper's badge. Colour. 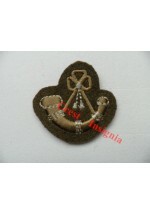 ..
1231t Military Trumpeter qualification badge. Colour. Military Trumpeter, qualification badge. Colour, for FAD/No2 dress. ..
1235 Royal Engineers 'Railwayman' operators badge. Royal Engineers. 'Railwayman' qualification badge. Rarely seen, but still 'on the role'. ..